Anyone living near areas where oil well drilling or pipeline construction takes place should read this article because it brings to light yet another environmental issue that could affect not only the quality of water pulled from private wells but also the quality of water in surrounding wildlife areas. In this article residents in the Dallas, TX area express concerns over the ‘inadvertent return to the surface’ of drilling clay containing bentonite, a compound used as a lubricant/sealant around the casing of drills. Apparently a few thousand gallons of the stuff seeped up through cracks in rock formations under wetlands and had to get cleaned up by the company doing the drilling. DALLAS TWP. – Residents and township officials told supervisors Tuesday night they want tests done on water wells near the sites of five drilling mud spills that have taken place since the beginning of the month. Contractors hired by Chief Gathering LLC, which was recently bought out by PVR Partners, are installing a pipeline to connect natural gas wells in Susquehanna County to the Transco interstate pipeline in Dallas. Since May 1, there were a total of five spills of more than 6,000 gallons of drilling mud at two different Dallas Township sites: Leonards Creek on Kunkle Road, and Upper Demunds Road and Goodleigh Road. Residents’ concerns revolve around bentonite, a type of clay used in well drilling. About 20 residents attended the meeting, but they didn’t seem convinced the bentonite was benign. Representatives from the state Department of Environmental Protection and Chief were on hand to answer questions. An “inadvertent return to surface” of drilling mud occurs when drilling horizontally beneath a wetlands or stream, according to John Pittinger, Chief’s environmental coordinator. The mud will find a weak spot and come to the surface, he said. Anyone who had a home well drilled in the last 20 years probably had it sealed with bentonite, he said. It was also used at the Huntsville Reservoir after the flood were the dam almost breached, Doughton said. “Bentonite is a common product used in many, many applications,” he said. But he said he thought water testing is a good idea to give people peace of mind – although it can be expensive. We did a little checking on the Internet to see if the experts’ opinions on bentonite matched information currently available from online sources… and for the most part it did. The MSDS (Material Safety Data Sheet) for bentonite that we found mentioned the potential for eye and respiratory irritation but not much else. It contained no mention of LD50 for humans or known definite environmental effects. In other places on the web we found articles praising the healing effects of bentonite clay… but we will not go into the details of those findings since we prefer not to discuss medicinal matters on our site. We leave those discussions for folks with more experience in the field of medicine. The article mentioned something about $600 for well water testing but did not specifically say that the well got tested for bentonite — though the implication did get made. We did not find a readily available test kit for bentonite but we did locate a few comments scattered about on the web indicating that bentonite clay would more than likely show up as increased turbidity in a body of water. 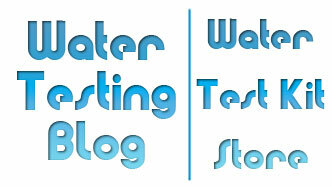 Regular testing of well water? Regardless of whether you live near gas/oil drilling or the laying of the pipeline for the transportation of gas/oil through your area, the responsibility for making sure you have safe, clean water coming out of your well falls on you. 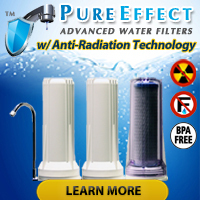 No government agency will knock on your door to ask for permission to test your well water; not unless they already know about a potential health concern you more than likely do not know about and by then it’s more than likely way after the time when it would have behooved you to know about the problem. 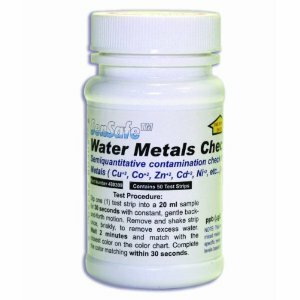 Get your well water tested periodically by a qualified water testing lab (we suggest considering a lab like National Testing Laboratories) and perform regular testing of basic well water quality parameters on your own using Multi-Parameter Drinking Water Test Kits like the ones we offer in our water test kit store.